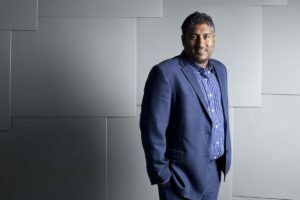 As Bitcoin continues to trade in a rather narrow range, industry experts Vinny Lingham and Ronnie Moas stand on both sides of a $20,000 charity bet that BTC price won?t hit $28,000 by the end of 2019. ?The Bigger The Party ? The Bigger The Hangover? Moas and Lingham shook on a $20,000 bet on the price of Bitcoin 00 by the end of 2019. Regardless of who wins, the money will be donated to the Free Ross charity ? a group of supporters who work to provide legal assistance to Ross Ulbricht in the popular Silk Road case. It?s also worth noting that prominent investor and owner of Galaxy Digital Mike Novogratz recently said that he thinks Bitcoin will reach $20,000 by the end of 2019. Vinny Lingham, on the other hand, has a different view on the market. According to him, companies in the cryptocurrency space are not profitable and they have to sell their digital currencies in order to pay up for expenses. He believes that there?s not enough money coming into the market and that the balance will eventually break down, causing the prices to go lower. He also noted that “the bigger the party – the bigger the hangover” and that we’ve had one “pretty big” party at the end of 2018. Bitcoin?s current performance is far from exciting, however, with many months to go before the bet closes. While BTC 00 has marked slight gains throughout the last 24 hours, the past few months have seen record low volatility. What do you think of the bet between Lingham and Moas" Where do you see Bitcoin at the end of 2019" Don?t hesitate to let us know in the comments below! The post BTC Price Won’t Hit $28K By 2020 – Vinny Lingham Bets Ronnie Moas appeared first on Bitcoinist.com.